A dog id tag is usually one of the first things that most pet owners decide to invest in and with good reason. These little charms, which attach easily to a dog's collar and come in a variety of shapes, sizes and colors, can not only make a fashion statement but also help to keep your dog safe should you ever get separated. It's a small price to pay for your dog's safety and your peace of mind so there's really no reason not to get a tag for your pet. Premium Quality Aircraft-Grade Anodized Aluminum ID Tags for Dogs are availabe on Amazon and come in many shapes including bones, circles, stars, hearts, and fire hydrants. Tags come in a wide variety of materials, including aluminum and stainless steel. 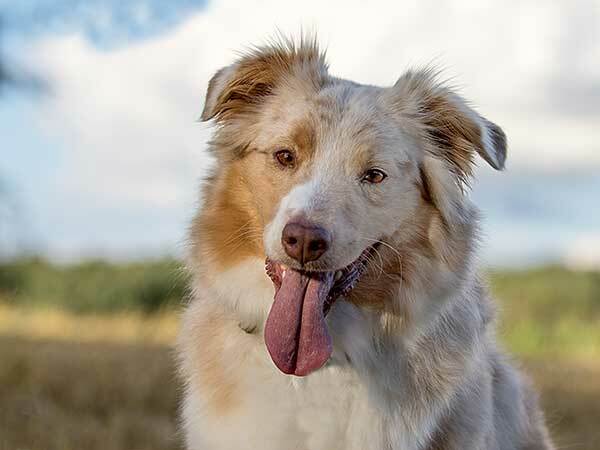 All serve the same purpose, but if you've got an active dog like the Australian Shepherd that spends a lot of time outdoors in all sorts of rugged conditions, you might want to opt for the sturdier stainless steel. You'll also want to make sure that the dog tag you choose has a secure attachment so that it will stay in place on your dog's collar. Aside from material, you can also choose from colors and designs. You can get a dog id tag in plain silver or you may opt for a fashion color like pink, red or blue. Tags come in many shapes, from standard circles or rectangles to paws, hearts, stars and bones. The style you choose is entirely up to you but ideally it should reflect your dog's unique personality. Smaller, daintier breeds may look good in a heart or star shape, while sturdier breeds might be better suited to bones or paws. Make sure the ID tag for your dog has the correct information. Have you moved or changed your phone number? Don't forget to get new tags with your new contact information. Personalized Stainless Steel Pet ID Tags include up to 8 Lines of Text — Engraved Front & Back. Available in Bone, Round, Heart, Flower, Shield, House, Star, Rectangle, and Bow Tie designs on Amazon. No matter what you choose, the most important feature of any dog tag is the information it contains. Again, the amount of information you include is up to you but at a minimum you should include your dog's name, your name, your address and phone number. That way if your dog does get lost anyone who finds him will have all the information they need in order to return him safely to you. You can get a dog id tag from major online retailers like Amazon. Most sellers will include engraving with the purchase at no extra cost. You'll want to make sure that the engraving is good quality so that the tag is easily readable. You may also want to choose your style of tag so that it fits with your dog's collar. You may opt for traditional hanging tags or, if your dog has a flat collar, you can get a tag that slides onto it. GoTags Personalized Slide-On Pet ID Tags. Silent, No Noise Collar Tags made of Stainless Steel. Custom Engraved. Available on Amazon. Using metal tags is particularly important so that they'll be able to withstand the elements. This is especially true for rough and tumble Aussie's, whose work can keep them outside in all sorts of weather and who may easily become separated from their owners. You want to know that when you take your dog out to work, play or participate in agility training, he'll be safe at all times. Having a sturdy, easily readable dog tag is the easiest and most affordable way to help protect your dog. Don't take your dog's safety for granted when a dog id tag is so easy to purchase and can cost as little as $3 or $4. With one simple, tag you can make sure that your dog's information is always on hand so that he can be safely returned to you if he's ever lost. A tag should always be your first thought after purchasing a collar; it's a small but important investment to keep your dog safe.